In Memory of Our grandmother. Who we love and miss dearly. 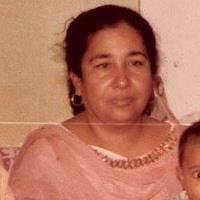 This January it would be twenty years since Bari Ami passed away. I know I miss her like it was yesterday. Sadly she is no longer with yes but we can still send her gifts by giving charity in her name.